[ December 16, 2016 ] New Delhi: Virat Kohli hit his career best 235-run knock against England in Mumbai to soar new heights in Test cricket, a format for which he apparently is not deemed as suited as for ODIs and T20s. Despite reach the astronomical figure, Kohli does not consider the knock as his best so far. He still cherishes the century hit in Adelaide as his favourite. "I am still very personally very attached to the one in Adelaide (in 2014-15) in the second innings because that was the beginning of this transition. But this probably can be the second best, in my heart I still rate the one in Adelaide in the second innings higher than the ones I have scored elsewhere," Kohli said in the post match press conference in Mumbai. The 28-year-old scored an unbeaten 115 in the first innings and then went on to hit a 141 but still saw Australia securing a 48-run victory over India. Yes, it wasn"t a result that could would want to remember from the point of view of team India but personally he still considers it as his best in such tough conditions. Virat also spoke about personal milestones in the conference, suggesting how important it is to express as unit and care little about individual milestones. 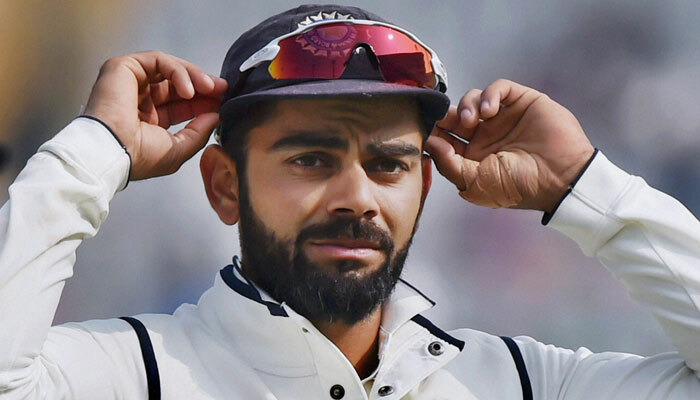 "One thing that I really wanted the team to do was express themselves in Test matches and not think about personal performances," said Kohli at the post-match interaction. "Because a lot of the times, you have an hour in the Test match where you can take the game away and you are still not willing to go for it because you are close to your milestone or things like that. These are the things that we have gotten out of our system completely. We just look at the situation and play and that is why we have been in winning positions more often than not," Kohli explained. He also pointed out about the changes that have been made in the squad with a view to win not just individual matches but the entire series. "Even with the teams that we have played, we have made quite a few changes and the guys have bought into it. So, as a captain, that gives you total freedom to play the 11 according to the conditions that you are going to play in, and the ultimate aim has been to win games and win series. Not only one Test match, but to win series. That is why we have won five in a row," he said. "And as I said, it is been an outstanding effort by the guys so far and long it may continue because we are going to play for another 8-10 years and this mindset needs to continue for us to be a top-quality consistent side," he added. Virat"s surge in performance in Tests has seen him reach career best No. 2 spot in the latest ICC Test rankings for batsmen.